← Feel the Change in the Air? 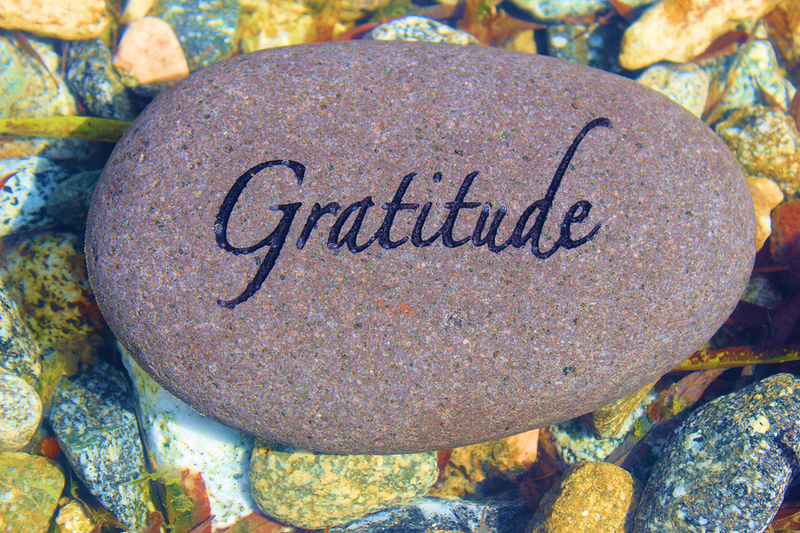 Thanksgiving gives each of us an opportunity to look around and re-evaluate what we are thankful for in our lives. First thoughts for many people might go to family, friends and health, a roof over my head. After the initial thoughts what follows? As an exercise you might grab a pen and paper and make a list of what brings you joy and a sense of gratitude to your life. Spend some time creating this list, letting all of your thoughts flow without judgement. Take a moment and review your list, reading it over a few times. Next evaluate what is on your list and make note of what is not on your list. If for example you are grateful for having the energy to play with your grandchildren or walk your fiesty dog- think about creating more space in your life to do just that. Did your collection of magazines or newspapers not make the list? Or spending time with a friend who brings your spirits down? Perhaps that might be letting you know that it’s time to let them go so there is more space for what is bringing you joy and gratitude. This exercise is good to do from time to time as you are contemplating making changes in your life. It asks you to do something which can be very difficult- which is to ask yourself, what do I want and what do I need? What do you want more of in your life? What will fill up your days in a positive way? I am thankful for having the opportunity to work with and on beahalf of some amazing people. I learn something new everyday and I am grateful for that. thank you. This entry was posted in Gratitude Exercise. Bookmark the permalink. Very good and insightful advice.